My name is Sandra Gelinas. I am here to support you as you experience . . .
to fully EMBRACE all that you are. that’s the moment everything comes together. you require to achieve your ultimate life purpose. Topic: Birth of the New World. We are not the same person we were a month ago and are changing daily in so many ways. Through conscious awareness we can not only participate in the evolutionary shift that is happening within and around us but guide and direct its unfolding. Learn how our body/mind vehicle is changing to accommodate a rising consciousness. Journey Into Oneness. Journey Into Oneness with Darlene Sowa. Energy Medicine Practitioner, exercise physiologist and bona-fide nature lover, Darlene shares ideas and tools to assist you on your journey to rediscovering your wild and authentic nature, as well as, the abundant nature of the universe. 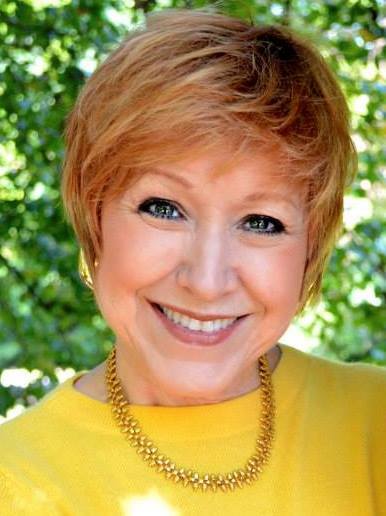 Topic/Guest: Exploring a New Threshold of Potential and Possibility through Astrology with guest, Liz Gunn, Intuitive Astrologer. 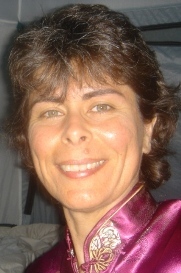 Liz Gunn is an Intuitive Astrologer with 30 years of experience as a skilled translator of planetary influences. My intuitive astrology readings specialize in shifting perceptions in order to see the gift in life’s challenges. From deep personal experience, I offer an uncommon wisdom that will inspire you to find faith and meaning in your own story. The focus of my work centers around the theme, “Know Your Chart – Know Your Self.” I believe we are each being asked to understand the nature of our humanity within the context of the rapidly changing paradigm of existing reality. The increasing demands of navigating the waters of self-change require a perceptual shift to broaden our self-awareness. We all have a threshold we must cross in order to embrace the highest frequency of Love available at this time. It is with great joy that I offer my gifts in service to help facilitate your moment of crossing. Topic/Guest: Sysab E. Brown joins to discuss, Align, Ignite, Aware. I’m Susan Brown, a Spiritual Mentor and Intuitive Healer. I am sharing with individuals how to align to their soul purpose. My Story: I had a profound awakening many years ago; an experience that compelled me to evaluate every aspect of my life: home, career, and relationships. As I worked through this process, inward changes began to take hold and I experienced life in a new way. I realized that my inner life, my soul’s purpose, was not reflected in my outer life. Eventually I left my home and career and embarked on a journey of self-discovery. Spirit took me by the hand and revealed to me my true self. I learned to live my truth, to honor myself, and to live from my heart. My soul’s purpose and my outward life become more aligned each day. Through my intensive studies with the Shipibo Shamans in Peru, gaining certification under a Reiki Shihan, and working with many other teachers, I have developed a deeper and clearer connection with myself, others, nature, and Sprit. I am committed to sharing what I have learned with others, to help you connect with Spirit and align your soul’s purpose with your life on Earth. I am a direct channel with Spirit, work with my guides, and have many other tools to help you transform your life. You are the answer to your questions and your life…I am here to guide and support you. I am here to awaken humanity — one person at a time! For more information please visit, susanebrown.net. Monthly topics and guest will help you navigate these ever-changing times with new insights, renewed hope and empowering visions. 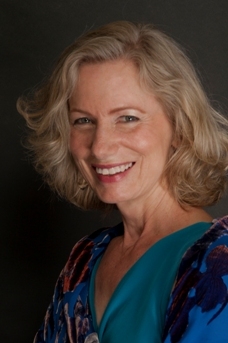 Topic/Guest: Tina FireWolf joins to discuss Soul Singing: Igniting Your Medicine Within. “Become the Leader You Know You Are… It’s Time To Remember HOW. Are you a Leader who after all your efforts in personal growth, feel there is a depth of connection you still have not yet reached within yourself, with others, and within the Stillness? In other words, are you done with all the looking outside of yourself? Are you ready to remember that you are your own Leader, and that you contain the power to heal yourself, define all aspects of your life, and all your relationships? Then you are a Leader, who must remember HOW to Navigate & Elevate your Human Experience, or this depth of connection will continue to elude you. Good News! I can make all of this simpler for you. I do this by giving you a direct experience of the place you ache to know within yourself – Your Soul, and the skill set to maintain this. Journey Into Oneness. Journey Into Oneness with Darlene Sowa. Energy Medicine Practitioner, exercise physiologist and bona-fide nature lover, Darlene shares ideas and tools to assist you on your journey to rediscovering your wild and authentic nature, as well as, the abundant nature of the universe. Monthly topics and guest will help you navigate these ever-changing times with new insights, renewed hope and empowering visions. 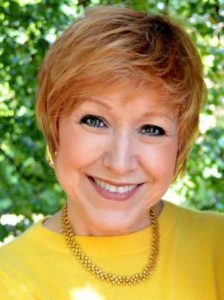 Topic/Guest: Denise Medved, Founder/Creator of Ageless Grace Brain (Body) Health Program and The Science of Aging Gracefully. 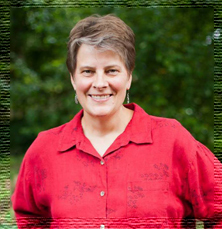 Denise Medved is a woman with a vision formed by a lifetime of facing struggle with optimism, grit, and perseverance. She is the creator of Ageless Grace, a brain fitness program with the purpose of changing the model of aging in this world. Ageless Grace is a cutting-edge brain fitness program based on neuroplasticity that activates all 5 functions of the brain – analytical, strategic, kinesthetic learning, memory/recall, creativity and imagination – and simultaneously addresses all 21 physical skills needed for lifelong optimal function. In the simplest terms, neuroplasticity is the ability of the brain and central nervous system to change form and function throughout one’s lifetime, specifically when stimulated by various physical activities. Each of the Ageless Grace Tools, or exercises, emphasizes a different “anti-aging” technique, such as joint mobility, balance, spinal flexibility, right-left brain coordination, upper body strength, development of new neural pathways, dexterity of the feet and hands, systemic health, oxygenation of the cells, increased self-esteem, confidence and playfulness. The easy-to-learn Tools promote the “three Rs” of lifelong comfort and ease – not reading, ´riting and ´arithmetic—but the ability to respond, react, and recover quickly, efficiently and safely. The movements in the program are designed to be performed seated in a chair to activate and work the core muscle group, stimulate the systems of the body (i.e. digestive, endocrine, lymphatic, respiratory, etc.) and help maintain optimal organ function. However, they can be done on a bed, standing near or behind a chair, down on the floor, or standing. 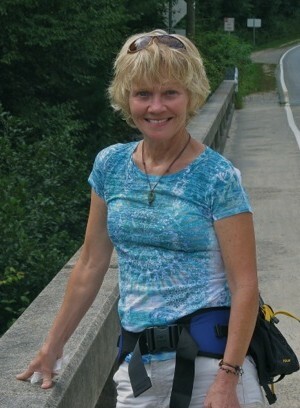 When created, it was Denise’s intention that anyone could perform the movements in Ageless Grace, whether recovering from a surgery or at the peak of health – and that anyone of any age or ability can be certified to teach the program and inspire others to practice this cutting-edge brain elasticity program. Intentionally nourishing the mind-body connection on a daily basis can help improve health and well-being, reduce stress, keep the brain agile and the body responsive. When body, mind, spirit and emotions are in balance, health and well-being follow. Ageless Grace offers something for each of these dimensions. The biggest difference between Ageless Grace and other fitness programs is that Ageless Grace is meant to both exercise the body and stimulate the brain. Research now supports that we must combine the two for optimal lifelong function and graceful aging. And that we must continue to practice movements we are unfamiliar with in order to create new neural pathways. Topic/Guest: Rev. Annamarie McConnell will join to discuss, The Power and Joy of Sacred Ceremony. Rev. Annmarie McConnell has led sacred fire ceremonies both in the U.S. and abroad for a number of years in an effort to honor Gaia and rekindle the love and power of sacred ceremony in the hearts of others. Her intense shamanic training has enabled her to personally experience first hand the gift, value and importance of sacred ceremony in our ever-evolving spiritual growth. She lovingly shares this gift and her experiences with others. Topic: Evolving with Love. Discover the power of bringing love into these precarious times and how to transform and transcend to higher states of mind. Journey Into Oneness with Darlene Sowa. Energy Medicine Practitioner, exercise physiologist and bona-fide nature lover, Darlene shares ideas and tools to assist you on your journey to rediscovering your wild and authentic nature, as well as, the abundant nature of the universe. Monthly topics and guest will help you navigate these ever-changing times with new insights, renewed hope and empowering visions. Rain is guided by her connection with Spirit in all of her work. 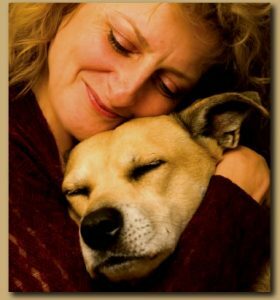 As an animal communicator, she is dedicated to helping people deepen their connection and understanding of their animal companions by fostering appreciation and mutual respect among all species. With the intuitive counseling work that she facilitates for people, Rain’s desire is to assist people to connect more deeply with their inner wisdom and realize their soul’s purpose. With integrity, heart and humor, Rain strives to live her life in alignment with her spiritual practice and to be grateful for the beauty and joy of life. 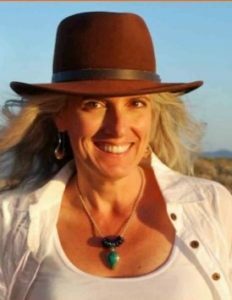 Rain has studied with Penelope Smith, the pioneer in the field of animal communication for over three decades, as well as Native American elders and other spiritual teachers. Her spiritual path has included energetic healing work for decades. Rain is a Reiki Master and has been trained in Tellington Touch for Animals as well as Healing Touch. 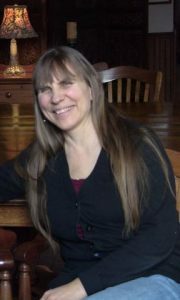 She also practices various other healing modalities including Heart Opening Meditations, Native American ceremonies, healing circles, journeying, shamanic drumming, expressive dance, and other spiritual practices. Rain supports animal welfare organizations and is a member of ACCAW, Animal Communicators Coalition for Animal Welfare. She has a BA in Communication and Marketing. 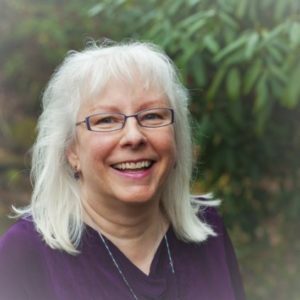 Rain lives in the Blue Ridge Mountains of Western North Carolina and offers Animal Communication consultations, Intuitive Counseling, Soul Journey consultations, Mentoring, Workshops, and Reiki distance healing nationally and internationally. Journey Into Oneness with Darlene Sowa. Energy Medicine Practitioner, exercise physiologist and bonafide nature lover, Darlene shares ideas and tools to assist you on your journey to rediscovering your wild and authentic nature, as well as, the abundant nature of the universe. Monthly topics and guest will help you navigate these ever-changing times with new insights, renewed hope and empowering visions. Great Lakes Sacred Essences, of Ann Arbor, Michigan, lovingly and prayerfully creates flower essences, predominantly from the Great Lakes region but not exclusively so; produces a variety of products that are premium-quality, healthful, and feature the flower essences; and distributes those products. Great Lakes Sacred Essences also teaches about flower essences and serves as an ally and advocate for flower essence makers. The flower essences of Great Lakes Sacred Essences are co-created by holistic health practitioner Merri Walters with intuitive guidance from Nature and the support of her husband, Robin Grosshuesch. The entire collection includes approximately 200 distinct essences—of flowers, bodies of water, and other forms of Nature. The essences have been made in Michigan, along the Great Lakes, and at sacred sites throughout the United States and Canada. Each combination essence offers support for common challenges.Great Lakes Sacred Essences also offers classes oriented to the combination essences and the ways that we can bring joy and balance into our lives. Journey Into Oneness. Journey Into Oneness with Darlene Sowa. Energy Medicine Practitioner, exercise physiologist, and bonafide nature lover, Darlene shares ideas and tools to assist you on your journey to rediscovering your wild and authentic nature, as well as, the abundant nature of the universe. Monthly topics and guest will help you navigate these ever-changing times with new insights, renewed hope and empowering visions. 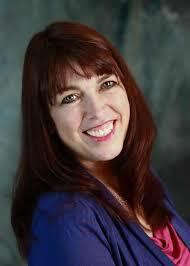 Guest/topic: Planting Seeds of Intuition with Linda Slaughter, accomplished intuitive and healing touch practitioner. About Karen: “I have been reading for as long as I can remember. As a child I was labeled a “Dreamer”. Every chance I got was taken to gaze at the sky and read the clouds – watching their ability to constantly change, as they moved through the skies and were transformed into a story. Trained by a great many talented and gifted Psychics, Healers, and Shamans throughout the World and always mentored and guided by a strong inner voice that kept opening doors (opportunities) and wouldn’t stop pushing me until I started walking on the path being created for me. I began my journey studying Numerology and quickly was introduced to Reiki. Once I started on this path, the esoteric knowledge meant for me came one discipline after the next, and often very intensely. It doesn’t appear to be slowly down in the least as I feel a great hunger for more and the list is ever growing. Journey Into Oneness. Journey Into Oneness with Darlene Sowa. Energy Medicine Practitioner, exercise physiologist, and bonafide nature lover, Darlene shares ideas, and tools to assist you on your journey to rediscovering your wild and authentic nature, as well as, the abundant nature of the universe. Monthly topics and guest will help you navigate these ever-changing times with new insights, renewed hope and empowering visions.